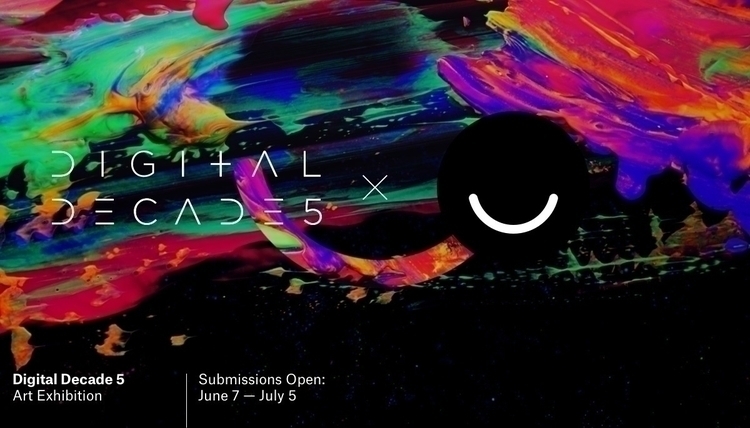 As an Ello Artist you are invited to reflect on the idea of a new-born Digital Ethnos – not a race or ethnic group but digital people that are changing a common value system right now. “Digital Decade 5: Cyberia” involves artists and audience in a visual dialogue on a geopolitical, environmental, social and even interstellar changes happening under the ongoing digital shift of humankind. We are looking for Ello Artists to submit artwork created specially for this cause. The best 10 artworks selected by a prominent jury panel will join the “Digital Decade 5” Exhibition in London in last days of summer. As an Ello Artist you are invited to create a Special artwork reflecting the main theme of the upcoming exhibition. By “Special artwork” we mean a Digital work done especially for this cause. We are okay if you share the existent work never published online before that you think is aligned with the theme. Feel free to use any tool to create your artwork. But take a look at our Media Partners - Glitche App This ultimate tool for creating cutting-edge art won hearts of thousands creative people including celebs like Nick Knight etc. You can upload hi-res images as input in app, to create same hi-res artworks suitable for printing. We’re stoked to see your work! Please read the Brief, Rules and T&C below. CYBERIA: THE UNKNOWN TERRITORIES SHAPED BY THE "DIGITAL ETHNOS"
new crypto-currencies, autopilot vehicles, p2p technologies or faces the AI takeover? As this tech-savvy group get older, it seems less and less likely that they’ll be the last generation. And with them, our world continues to change to become more digital, to become a “Cyberia.” What’s going to rule 2027? Remember 2007? There was no Instagram, Twitter was a year old, your Mom still wasn’t on Facebook and the economic crisis was looming. Now imagine 2027. Will there be no more countries, boundaries, walls, government, finances and old economies? Just like Gen Z is shaping 2017, an increasing focus on the digital will continue to influence the decade. Are we going to face artificial intelligence in it’s glory or downfall, live without borders, use hashtags instead of IDs, pay with a unified currency, eliminate religious conflicts and poverty with unified technologies and practices. What is Cyberia and who or what will be a part of it? Please don’t use any WORD/TEXT/LOGOS on your artwork unless it is proved by a strong concept. Strongly avoid to use third-party images/photography and ideas without having a legal right to do so. Phygital Exhibition “Cyberia” is coming in late August to London to be done in Ugly Duck facilities at Tanner st 47. Phygital event includes immersive experience in Physical and Digital works to be done in Prints, VR, Interactive and Projection Mapping installations. You make it - We deliver! Digital Decade is running by Designcollector Network in partnership with ELLO, Curioos, Ugly Duck and Sedition Art this season.